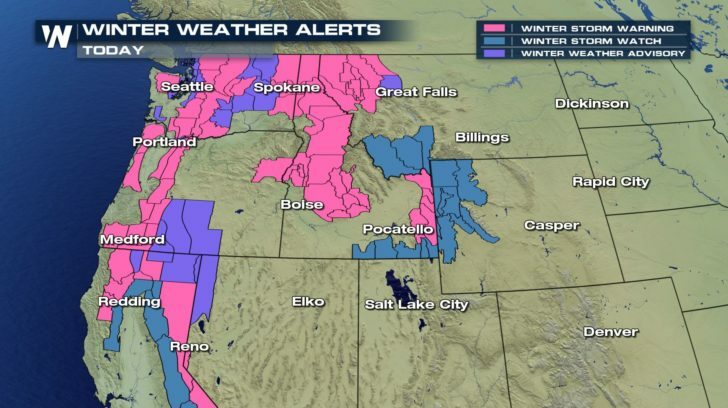 Winter weather alerts are still in place for the northwest as multiple fronts move through and bring in heavy snow. 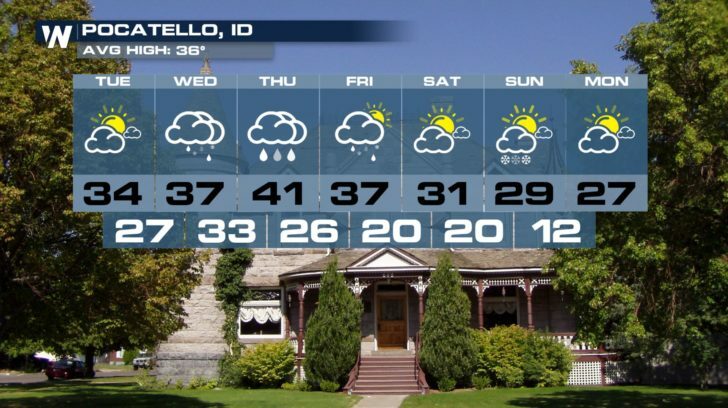 On top of the snow, we’re also looking at heavy rain over the next several days. 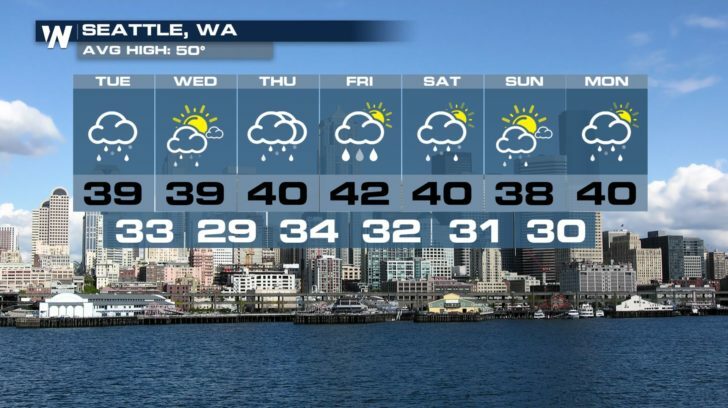 The rain and snow continue to fall in the northwest. It’ll last all day today while becoming more widespread. 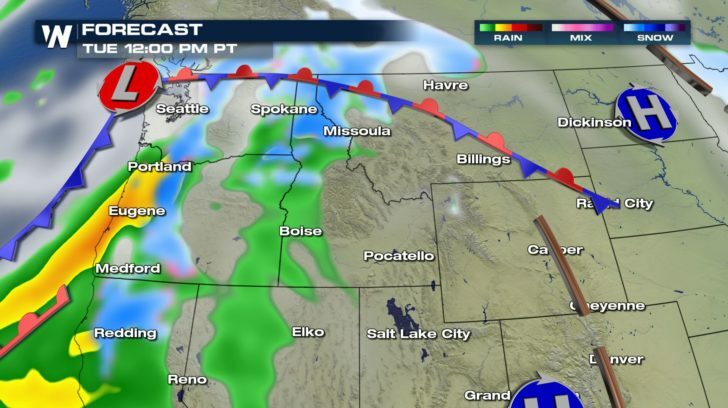 By tonight, another front moving in from the southwest will bring in more heavy snow and rain to the northwest. Snowfall and rainfall totals will be very high. Expect to wake up to precipitation Wednesday morning. It is also looking to last throughout the day. 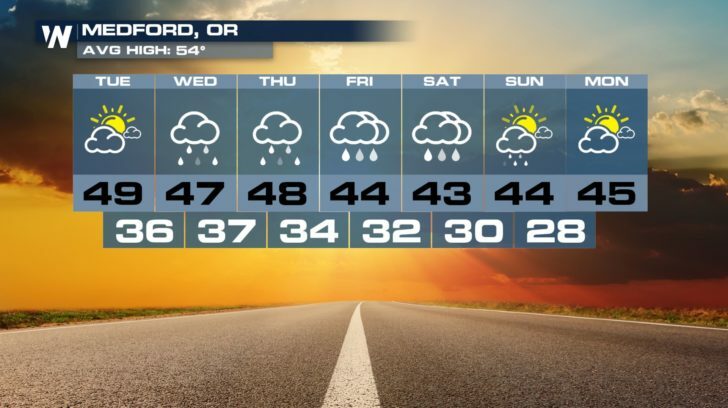 Prepare for slick travel conditions and low visibility over the next 48 hours. 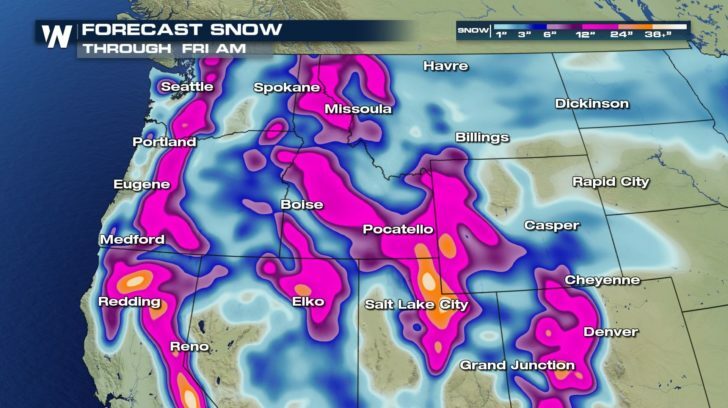 Snowfall totals will range anywhere from 1 to 12 inches for most cities. 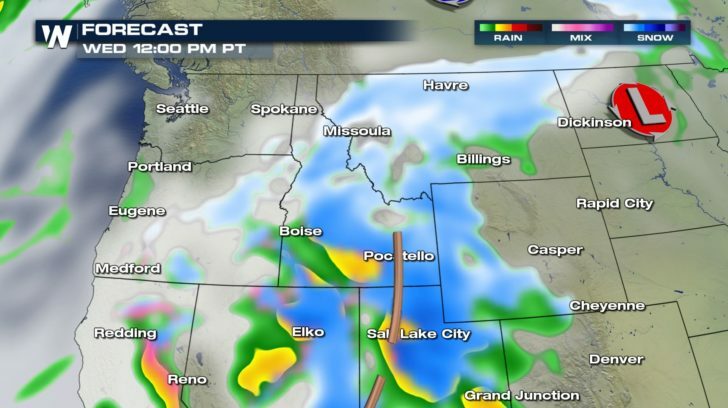 Into the higher elevations (where the orange and white colors appear on the map), we could see 2 to 3 FEET of snow just over the next 72 hours. Make sure to plan ahead for your commutes if traveling is needed. Rainfall totals will also be high. 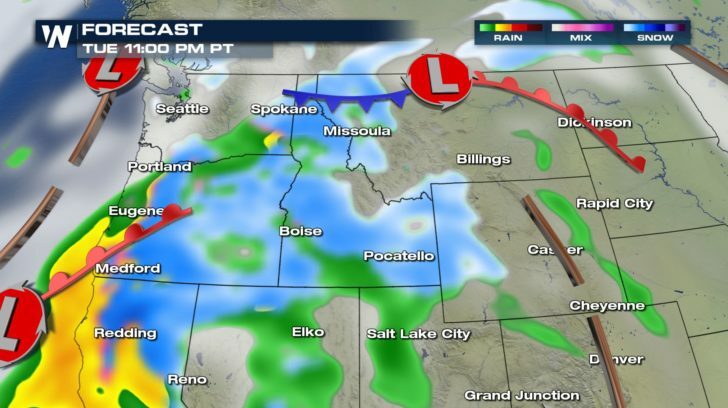 Along the coast of Oregon, totals could reach up to 3 inches. This is on top of the rain we have already seen for the past couple of days. 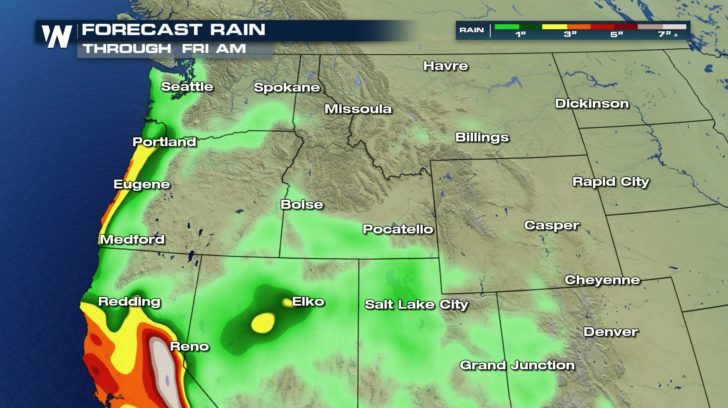 With the heavy rain lingering, flooding might be a possibility.